How Many Carbs Should You Eat In a Day? Carbs can be confusing, especially as the keto diet becomes more and more popular. Let's break down your carbohydrate needs. Culturally, we've swung from extreme fat-phobia (when I was growing up in the '90s, avocados were considered "fattening" and fat-free cookies were the "guilt-free" holy grail) to a fixation on the high-fat, low-carb keto diet. The keto diet was initially introduced as a treatment for drug-resistant epilepsy in the 1920s—and is still used for this purpose today. But now it's also being touted as a weight-loss diet. I get a lot of questions about carbohydrates from my nutrition clients: Are they bad? Are they good? Somewhere in the middle? Read on to learn more. First, meet the macronutrients: carbs, fats, and protein. The primary purpose of carbs is to give you energy. (FYI: Fat is used for energy, too. But it also protects organs, keeps you warm, and supports hormone production and cell growth. Protein provides structure for your cells and tissues and is used for the function and regulation of numerous body processes.) Most of the carbohydrates you eat are broken down by the digestive system into glucose, which is then used as energy to fuel your cells, tissues, and organs. Carbs can also be stored—so to speak—as fat cells for later use. Carbs are made up of fiber, starch, and sugar. There are four calories per gram of carbohydrate. You'll often hear about "simple" carbs and "complex" carbs. Simple carbs are the sugar—both the naturally occurring sugar present in foods and sugar that is added to foods. Some common examples of simple carbs are sugar-sweetened beverages, candy, white flour products, and fruit juice. Many studies have linked a high intake of simple carbs to health issues such as obesity, diabetes, and heart disease. Simple carbs are what you want to cut back on. Complex carbs are generally higher in fiber and digest more slowly. Some common examples are whole grains, beans and legumes, vegetables, and whole fruit. When you eat carbs, your blood glucose (blood sugar) rises. Consuming foods that contain protein and/or fat at the same time slows the rate at which that breakdown occurs, which helps maintain a more steady blood sugar level rather than causing a sharp spike then crash. Fiber also helps slow that digestive process. That's why whole foods—which naturally contain a balance of protein, fat, and fiber—are ideal. What "counts" as a carb serving? How many carbs should you eat per day? "It depends" is not an exciting answer. But how many carbohydrates you need per day really does have a lot to do with your unique makeup—as well as factors like activity level, whether you have any underlying medical conditions, or are pregnant or breastfeeding. Your needs can also fluctuate. For one, you may notice that you need different amounts of carbohydrate at different points in your cycle or during certain times of the year. People with seasonal affective disorder (SAD) may gravitate more toward carbohydrate-rich foods in the darker months since levels of the mood-regulating neurotransmitter serotonin take a dip and carb intake plays a role in serotonin production. This need to stabilize serotonin levels is also why you might crave carbs on a tough day or after a breakup. Different diet plans require different ratios of carbs to fats to protein. The 2015–2020 Dietary Guidelines for Americans recommend consuming 45 to 65 percent of our daily calories as carbohydrate. To give you a ballpark figure, on a 2,000-calorie diet, that's anywhere from 225 to 325 grams. The recommended minimum amount of carbohydrate per day (according to these guidelines) is 130 grams—about eight or nine 15-gram servings of carbohydrate per day. 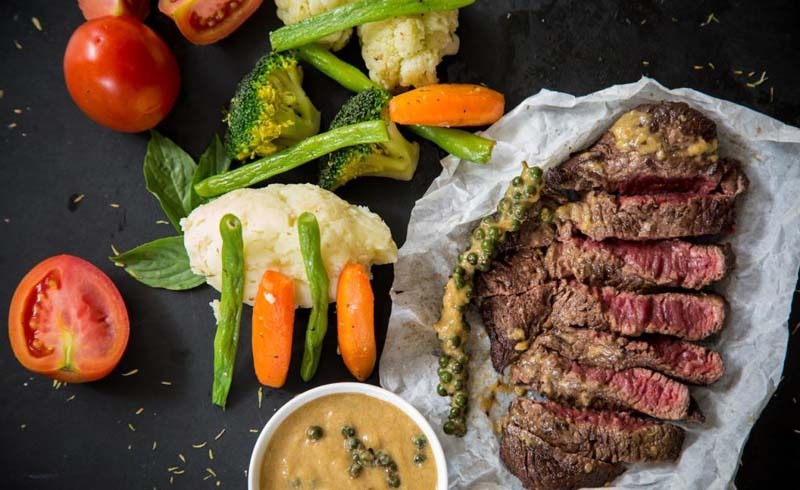 As a frame of reference, low-carb diets (such as Atkins or the LCHF diet) generally include anywhere from 20 to 100 grams of carbohydrate per day. The ketogenic diet is a very low-carb diet (~10 percent of total calories coming from carbs) with moderate amounts of protein (~20 percent) and high fat (~70 percent). For someone on a 2,000-calorie diet, that's only about 20 grams of carbs per day—about the size of a large slice of bread. If that sounds really low, you're right: It is. Sometimes I see clients get down on themselves for not being able to stay on the bandwagon with whatever diet is trending. But often your body fights extreme plans because it's trying to tell you something. Enjoying an eating pattern that feels right for you and allows you to be flexible in the context of real life is something that you'll actually be able to stick with for the long haul—even as the fads come and go. If you want to eat a low-carb diet and track your macronutrients (and if your health-care provider feels it's safe for you), you can tweak your ratio of carbs to protein to fat until you find what feels sustainable and enjoyable while still allowing you to meet your goals. That said, if you feel yourself starting to overthink it, have a history of disordered eating, or struggle with establishing a healthy balance with food, working with a registered dietitian can help you make changes while ensuring you have the support you need to avoid kicking up dust from past issues or making you feel overwhelmed. How do you know if you've struck the right macronutrient balance? Consuming too little carbohydrate can make you feel sluggish and mentally tired. You may also find yourself feeling irritable or struggling to "keep it together" emotionally. Some people may also feel really hungry when they're not eating enough carbohydrates. Because many carb-rich foods are also good sources of fiber, digestive discomfort like constipation is a common issue with inadequate carb intake. (That's why constipation on the keto diet is a real issue.) Make sure you're still hitting that daily goal of 25 to 35 grams of fiber and drinking plenty of water to keep things moving. Consuming too much carbohydrate relative to protein and fat may cause you to feel like you have a hard time staying full, as you burn through meals and snacks quickly, causing a sharp spike in blood glucose, followed by a crash. Over time, constantly riding this "blood sugar roller coaster" could lead to prediabetes or insulin resistance. No, but really, how many grams of carbs should you have? As a jumping-off point, I generally recommend having a source of carbs at each of your meals. Whether you get it from grains, legumes, starchy veggies, fruit, or dairy is up to you. To help you stay in balance without overthinking, fill half your lunch or dinner plate with non-starchy veggies, a quarter with protein, and the last quarter with carbohydrate. 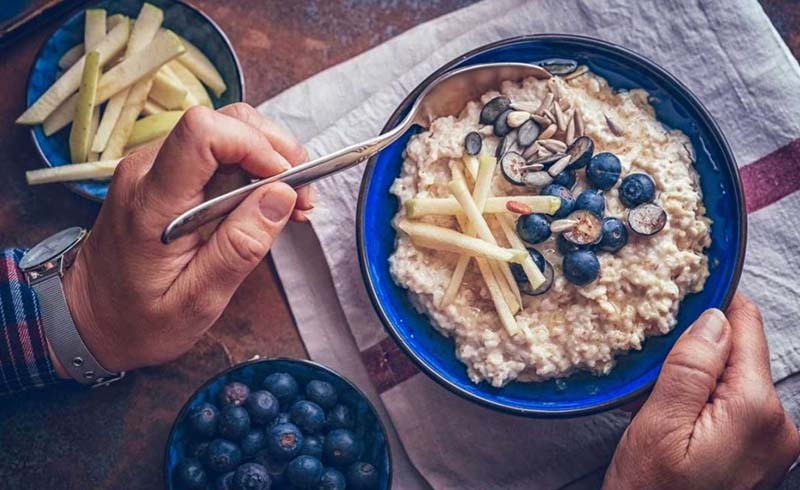 Spreading your carbs out consistently over the course of the day can also help with keeping your blood sugar stable, which supports continuous energy and balanced mood levels. Here are some examples of meals and snacks that, when you choose one from each category, provide the minimum 130 grams of carbs. If you need more, of course, listen to what your body is asking for and incorporate additional carbs where it makes sense for you. U.S. Daily News: How Many Carbs Should You Eat In a Day?